You are at:Home»Lex Pedia»Lex Articles»Gambling Laws in India! Beginning from Mahabharata when the Pandavas lost their kingdom by a throw of dice to the present day online betting business, the ‘Game of Chance’ has always held a certain charm for Indian psyche. Gambling in one form or another has been a feature of all cultures, but it has been legalised and commercialised on a grand scale only since the 1960s. Fuelled by growing middle-class affluence and the liberalisation of social values in western industrialised nations, commercial interests have seen gambling as a new opportunity for profitable investment. Governments have been spurred to legalise gambling by the prospect of additional revenues and the need to control the spread of existing illegal activities. Popular gambling practices have been reorganised to conform to commercial criteria and new forms of gambling have been introduced to entice new players. In the case of horseracing and casino games, traditional gambling cultures have been incorporated into broad policies of economic development, notably the expansion of mass tourism and entertainment industries. While gambling has always attracted attention from observers intrigued by the universality and diversity of society and culture, until the 1970s articles on gambling were published mostly in peripheral journals as if it was not a serious subject for scholarly analysis. 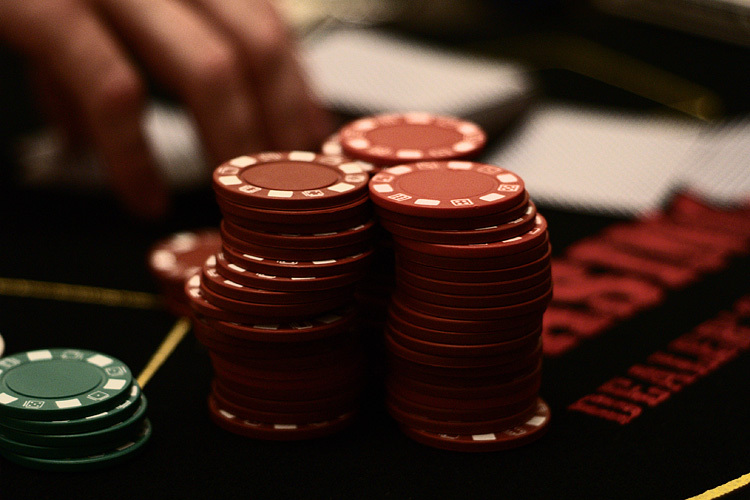 Since the proliferation of commercial gambling in Britain and the United States during the 1970s, however, the study of gambling has begun to emerge as a legitimate academic concern. Gambling is one of the few social activities that occur in nearly all cultures and in every period of time: in this respect it can be said to be virtually a universal phenomenon in human societies (Wykes 1964; France 1974). Chinese gambling, for example, can be traced back more than 4,000 years. Excavations at Ur (2000 BC), Crete (1800 BC), Egypt (1600 BC) and India (1000 BC) have unearthed dice and gaming boards; betting on horse-racing was common among the Hittites (4000 BC). Archaeological records show that for over 2,000 years many ancient Asian and Arabian societies have tossed tokens or coins to guide decisions; similar games were popular with the Greeks and Roman legions. Gaming was so popular with soldiers during the Crusades that in order to maintain discipline King Richard I forbade gambling among soldiers below the rank of knight. Governments and philanthropists long ago recognised the potential of popular gambling to generate extra revenues for public works. In the sixteenth and seventeenth centuries, during the reigns of Queen Elizabeth and Queen Anne, state lotteries raised funds for London’s water supply, to pay the salaries of civil servants, and to finance the colonisation of America. In North America throughout the eighteenth century, lotteries were an accepted means of financing public projects such as bridges and roads, churches and universities. Despite its apparent universality, the concept of gambling has no intrinsic meaning; rather, its meaning always depends on the socio-historical context in which it occurs. The perception and experience of gambling vary significantly—in its history, its organisation and its meanings—according to different types of gambling, the various groups involved, and the particular society within which the gambling takes place. As it is understood in modern societies, gambling commonly refers to risk-taking activities which can be found in almost every aspect of social life, from personal relationships to international politics. While the debate about what gambling is legal and what isn’t continues among gambling experts, in India courts, and between States and the Central government, one things is for certain – Indians love to gamble. A recent news report sized the Indian gambling market at Rs. 3 lakh crore ($60 billion USD) annually. Although a good percentage is wagered legally on horse racing and lottery, a large amount is wagered on cricket and other sports via illegal and “technically illegal” channels. The complex Indian gambling laws, includes forms of gambling which are prohibited, which are explicitly allowed, and what grey areas still exist. Gambling and betting activities have enjoyed enormous popular­ity amongst Indians. A report by KPMG has estimated India’s overall gaming market (most of which is illegal and unaccounted) to be worth Rs. 2,50,000 crore or US $ 60 billion, which amounts to around 3.5% of India’s Gross Domestic Product. Despite the staggering amount of revenue that gambling and bet­ting have generated and its popularity, laws in India have been unfavourable for any games of chance and probability ever since the advent of the British rules. Even today, pre-independence statutes like the Public Gambling Act, 1867 prohibit any game based on chance or probability except lotteries. List-II of the seventh schedule of the Constitution, empowers the state governments to leg­islate on matters concerning gambling and betting. Almost all states, with the exception of Goa and Sikkim, have prohibited all forms of gambling, betting and wagering or have continued to enforce the pre-independence legislations enacted by the British rulers that banned gambling. It is interesting to note that while the UK has changed its gambling policy in light of the changing societal norms and now allows almost all forms of gambling under the Gambling Act, 2005, Indian states have continued the erstwhile British policy of banning gam­ing activities. The state of Goa has, however, allowed gambling since 1996, after the Goa, Daman and Diu Public Gambling Act, 1976 was amended to allow card-rooms in offshore vessels and slot machines in five star hotels sub­ject to the prior approval and permission of the state government on payment of a specified recurring fee. The state of Sikkim also decided to legalise and regulate gambling with the passage of the Sikkim Regulation of Gambling (Amendment) Act, 2005. This gives us an overview of the regulatory regime governing gaming in India. It is evident that there is an expansive restriction on almost all forms of card games and wagering activities. All gambling statutes in India have, however, excluded ‘games of skill’ from the penal provisions banning gambling activities. There has been a considerable debate in various coun­tries across the world as to which games or activities may be considered to be ‘games of skill’ and thus not attract the provisions of gaming acts and which games are based predominantly on luck where a person’s skill or intellect has little role to play. The primary legislative document that makes gambling in India illegal is the PGA 1867. This is an old law created during British rule. While Pakistan has since abolished this rule, our own government has affirmed their commitment to keeping it on the books on many occasions. This 145 year old law makes operating a gambling house, assisting in the operation of a gambling house, visiting a gambling house (whether gambling or not), financing gambling and being in possession of gambling devices a crime. The penalty is a fine not exceeding 200 rupees or up to three months in prison. The Central Lotteries (Regulation) Act of 1998 gave state governments the authority to hold lotteries, but stipulated this was restricted to a maximum of one draw per week. Today in most Indian states there are lottery terminals excessively available and some lotteries are drawn every 15 minutes. Also Sikkim licensed Play Win Lotto is highly popular and Indians from any state can purchase tickets online, or via terminal. The reason the one draw per week is not followed is because most states believe fully, they already had the right to create their own laws for all forms of gambling, and didn’t need the Central Lotteries Act to do so. This is a right given to them by the Constitution of India. What is interesting is that Satta Matka Gambling, which is a simple form of lottery, is strictly forbidden. The Constitution of India explicitly gives states the right to legislate and make policies related to “gambling and betting”. It is quite clear in the Seventh Schedule Entry 34 List II that states could legalize gambling should they choose to do so. To date most states have only made laws against gambling, while 13 states have legalized lottery, and 2 states (Goa and Sikkim) have legalized many other forms of gambling. 1) The Sikkim Casino Games (Control and Tax Rules), 2002 gives the Sikkim Government the authority to grant licenses to individual and business interested in operating casinos. 2) The Sikkim Regulation of Gambling (Amendment) Act, 2005 gives the Sikkim Government the authority to authorise gambling on certain days and to make specific gambling houses legal at their own discretion by way of a license. Sikkim also became the first Indian State to legalize internet gambling. Since many Indians uses online gambling. The central government needed to action against it. Although the Central Government has no jurisdiction over UK licensed bookmakers whom operate legally under European and International Law, they have taken some action to make using these sites more difficult. This comes in the form of two laws, neither of which has been highly effective. The act goes on to say any payment system or clearing house with less than 51% of the equity held by an Indian bank requires authorization to operate in India. Much the rest of this 14 page Act, gives RBI all sorts of authority over all aspects of payment processing in India, as well as the rights to enter and inspect with or without notice and access to all financial and customer data upon request. The most important factor here is RBI has the right to make policies almost on demand (in concordance with this Act) for all things involving payment processing. They have exercised this authority numerous times. This is what caused the Pay Pal in India fiasco, and also what caused Neteller to stop issuing Neteller plus cards, and Entro Pay to stop issuing Plastic MasterCard branded debit cards. So in short, RBI has the full right to instruct banks to decline or refuse and payments or deposits involving any particular payment processor, e-wallet or clearing house. While they seem more concerned with going after businesses and freelancers who might be evading tax, should they in the future decide to go after gambling processors, the legal framework and authority for them to do so already exists. Again to be clear, at the current time this does not seem to be a priority for them. On 14 April 2011, the Gazette of India published the Information Technology (Intermediaries guidelines) Rules, 2011. This legal document is issued under authority granted in Information Technology Act, 2000. In short this act instructs Internet Service Providers and Website Hosts, to block access to certain types of websites and content. While the majority of this is for areas of National Security, things that would shine India in an improper light, things that are blasphemous, illegal, pornographic etc., Section 2 item B includes anything “relating or encouraging money laundering or gambling”. The addition of gambling to the IT Act of 2000 is in conflict where much the rest of India is headed. Again, the Sikkim Government has legalized sports betting and casino gambling, Goa has legal casinos, and 13 states have legalized lottery. Even Mr. Haroon Lorgat, Former CEO of the International Cricket Council (ICC), has urged Indian officials to make cricket betting sites legal, as he feels this is the best way to prevent corruption and match fixing in the sport. So while the push for legal gambling in India is strong and has made some progress, the Central Government is still taking action in an attempt to make it more difficult. Section 12 of the Public Gambling Act provides the criteria for declaring any game as illegal i.e. whether it is based on chance or skill. It thus becomes clear that playing games where luck has little or no role to play and the winner is entirely determined by the player’s intellect and skill would be permissible as there is no other statute that criminalises or punishes playing of such games of skill. Skill based games, wherever played are not illegal. In MJ Shivani v. State of Karnataka, Supreme Court ruled that games where the element of chance is predominant fall under the category of gamble. Ardent Indian gamblers argue that ‘Poker’ is a skill based game and hence does not fall under the purview of the Act. But the legal position is still uncertain. The Court has also concluded that while prize competi­tions (with a pre-determined ambiguous solution) and competitions where the winner is determined by draw of lotteries are of a gambling nature and cannot be afforded protection of freedom of trade and commerce under Art. 19(1) (g) of the Constitution, games of skill may be afforded such protection. In 1967, the Supreme Court held that the thirteen card game of rummy was a game and thus the game of rummy may be allowed in clubs where the organisation is not making a profit or gain out of the stakes involved. In 1996, the Supreme Court further elaborated upon its two ear­lier decisions to conclude that games involving a ‘substantial or preponderant’ degree of skill would amount to games of ‘mere skill’ as laid down by Section12 of the Public Gambling Act and similar relevant sections of the various other state gaming acts. The Supreme Court further maintained that betting on horse-racing by owners for a prize was a game of skill and cannot be included under the ambit of gambling. The Court added that such a sport of horse-racing and the betting carried on by owners would be granted the fundamental right of freedom of trade guaranteed under Art. 19(1) (g) of the constitution. While interpreting the case of State of Andhra Pradesh v. K Satyanarayana and Others, the Andhra Pradesh High Court allowed games of rummy to be conducted, even when there are stakes involved and the concerned organisers are making profits out of the game of rummy. In 2005, the Madras High Court has also declared that playing games like chess and carom even on payment of fees to the clubs, i.e., on pay­ment of a consideration would not amount to gambling as the games are pre­dominantly games of skill and thus the Public Gambling Act is not applicable in any manner. In the absence of any direct decision of the Supreme Court or any of the High Courts on the game of poker, any analysis of the legality of poker for any state in India would have to be given in light of the objects of different state acts, international case laws and statistical analysis concerning the game of poker. In India, only betting on horse racing is legal and there is no specific law to deal with illegal betting in other sports. The authorities can invoke the provisions of the Public Gambling Act of 1867. There has been a crying need for specific laws to deal with gambling and betting. Despite socially conservative India’s ambivalence about gambling, consultancy firm KPMG estimated that $60 billion was wagered in the country in 2010. Much of the gambling is illegal, but attitudes are slowly changing as more Asian countries embrace gaming as a revenue generator and tourist draw. Gambling in India is quite rampant, be it related to elections, sports, on festival like diwali even though it’s considered a social evil by most the people. Loses of huge amount of government revenues in various plan is well known, that could be put to better use construction of buildings, roads, schools, hospitals, other infrastructures by legalising. It is well known fact that much of the monies are involved in illegal gambling activities, the proper framework could be made to available to the legal economy. Legal gambling in the increasingly wealthy country of 1.2 billion is limited to state lotteries, horse races and a handful of casinos. Most gambling in India, from penny-stake games at street corners and card parties in affluent homes to wagers on cricket and underground numbers games, is illicit and goes untaxed. People are educated; they know what’s at stake. The country was transfixed last month by a scandal in which several players were accused of taking bribes from bookies, spurring calls for legalising and regulating sports betting from the Federation of Indian Chambers of Commerce and Industry, a powerful business lobby, and others. New laws are proposed after the cricket scandal is aimed at making cheating in sports a crime although it does not address regulating or legalising betting. In India, gaming regulation is fragmented and sometimes contradictory, with some laws dating to the 1800s. Casinos fall under the purview of provincial governments, and just two out of 35 states and other territories have them. Online gaming is a grey area. While it is forbidden under information technology law, it is not clear whether that applies to betting on games of skill. Many Indians bet on cricket and other sports at offshore websites, although remittances from such activity violate Indian foreign exchange rules. Given the regulatory thicket and slow pace of policymaking in India, many industry-watchers say it will be years before gambling in India becomes a major, mainstream proposition, although a pragmatic acceptance is growing. The World Bank, Data, available at http://data.worldbank.org/country/india (Last visited on March 25, 2012). (According to the World Bank World Development Indicators, India’s GDP is over US $1.7 trillion. Thus the US $ 60 billion gaming industry would amount to over 3.5% of the GDP). The Seventh Schedule of the Constitution of India, 1950 has differentiated between lotteries and other games of chance as there are different entries concerning the regulation of lotteries and gambling and betting. Entry number 40 of List-I of the Seventh Schedule empowers the Central Government to legislate on regulation of lotteries. Constitution of India, 1950, List-II, Entry 34 and Entry 62. The Public Gambling Act, 1867; Bombay Prevention of Gambling Act, 1887 (applicable to the State of Maharashtra) and the Tamil Nadu Gaming Act, 1930. The Goa, Daman and Diu Public Gambling Act 1976, Section 13A. The Sikkim Regulation of Gambling (Amendment) Act, 2005 authorises the state government to notify specified places where permission for running casinos may be allowed on payment of a specified fee. Mrs. Pratibha Devi Singh Patil, then President of India signed the Payment and Settlement Systems Act, 2007 on 20th December 2007 and it went into effect on 12th August 2008. State of Bombay v. R.M.D. Chamarbaugwala, AIR 1957 SC 699, 1957 (2) AnWR 87, 1957(59) BOMLR 945, (1957) 35 MysLJ (SC) 283. See also M.J. Sivani v. State of Karnataka, (1995) 6 SCC 289: AIR 1995 SC 1770 (In the M.J. Sivani case, the Supreme Court confirmed the Chamarbaugwala judgment to the extent that freedom of trade and com­merce is available to games of skill. The Supreme Court however clarified that reasonable restrictions or conditions may be imposed on video games based on chance and the constitu­tional protection under Art. 19(1) (g) does not apply to owners of video game parlours). Dr. K.R. Lakshmanan v. State of Tamil Nadu, (1996) 2 SCC 226: AIR 1996 SC 1153. D. Krishna Kumar & Another v. State of Andhra Pradesh, 2002(5) ALT 806, 2002 (2) ALT(Cri) 470, 2002 (3) APLJ 211. Manakadu Elainger Nala Sports, Narpani Mandram v. State of Tamil Nadu, 2005 (1) CTC 245, AIR 2005 Mad 214. Verdict of the Supreme Court on the legality of poker in any state would be applicable uniformly to all states across India as the wordings of all state gaming acts with the exception of Assam and Orissa are similar in their objects and wordings. Section 2(a) of the Assam Game and Betting Act 1970 defines ‘betting’ as staking of money on any game or stake. No differentia­tion has been made between any game of skill or chance in this Act. Similarly, Section 2(a) of the Orissa Prevention of Gaming Act, 1955 defines ‘gambling or gaming’ as any game for money or other stake, This Act has also not made any distinction between games of skill and chance. The Public Gambling Act, 1867 and all other state gaming laws have exempted ‘games of skill’ from the purview of gambling and any liability attached with the offence of gambling.